If you’re a fan of IMAX, the interview I did with David Keighley yesterday is going to make your week. That’s because, as the Executive Vice-President of IMAX, Keighley is the one in charge of IMAX post production and he works hand-in-hand with some of the biggest directors in Hollywood like Christopher Nolan, James Cameron, and now Joseph Kosinski for TRON: Legacy. Since this interview is quite long and covers so many subjects, I’m going to keep this intro brief. However, if you’ve got the time, I really recommend the full interview. Especially if you’re a film nerd. That’s because Keighley has been with IMAX for 40 years and when he talks about what the challenges are for the format and what’s being done to advance image quality, he knows exactly what he’s talking about. Confirms The Dark Knight Rises will also be in IMAX. Says “many more minutes” should be in IMAX. 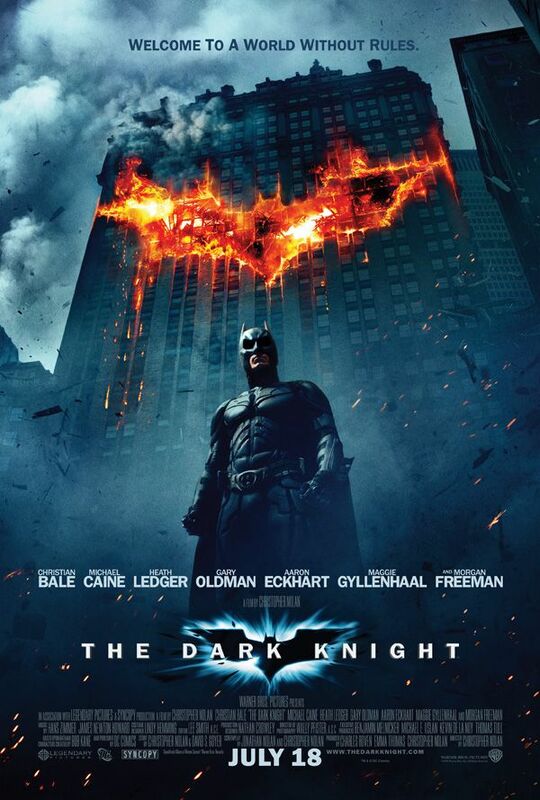 The Dark Knight had 28 minutes in IMAX. Talked about IMAX’s prototype digital-capture camera with 4K resolution. The first footage from that camera will debut on Born to be Wild. Talks about the IMAX release of The Dark Knight and how he was able to use the OCN’s (original color negatives) for eleven of the prints that were screened in select theaters, and how those were the best projected versions of any film in history. 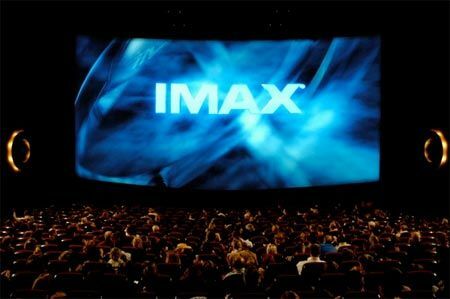 How we might get a double bill of The Dark Knight and The Dark Knight Rises in IMAX in select theaters. Also talks about why we don’t get to see older IMAX films back in the theater. Talks about what IMAX does to make sure quality control is up to their high standards around the world and how they can monitor a lot of their theaters at their Toronto headquarters. Discusses why you should see TRON: Legacy in an IMAX film theater as 43 minutes of the movie will fill the screen. Like what The Dark Knight did. How no one cuts original negative anymore but Chris Nolan. Regarding IMAX cameras, says they have about 3 of the 3D 2-strip 65mm 15 perf cameras, a couple of 30-perf cameras that have been taken into space on the space shuttle, and a new prototype digital capture 3D camera. Says they have had 4 or 5 meeting’s already with Nolan about The Dark Knight Rises. They are working on bit depth improvements so it will look more film like (when they project digitally). Explains it by saying it’s how many shades of color are in your face. Says for The Dark Knight Rises they are trying to get more than 1,000 shades of color. Film has over 4,000 shades of color. They are currently converting The Green Hornet into IMAX. Will only be getting a digital release. Talks about why digital projection is so important and the costs of making IMAX film prints. Again, if you’re a film nerd or just someone that loves IMAX (like me), you will learn a ton about the format watching this interview. As usual, I’ve time indexed the entire interview so you can watch the parts that interest you. Finally, a huge thank you to David Keighley for giving me so much of his time yesterday! 1:29 Talks about working with Christopher Nolan on The Dark Knight, how the film was a turning point for feature films taking advantage of filming in the IMAX format. Talks about how Nolan had been an avid fan of IMAX for years, decided it would be cool to film a feature film in IMAX. 3:50 Addresses the problems encountered with filming in IMAX, and how the progress on a smaller, more portable, quieter IMAX camera is going. Have a prototype digital-capture camera with 4K resolution, footage from which will debut with Born to be Wild. 4:45 How Nolan got around the problems with the IMAX camera in The Dark Knight, specifically the bank heist scene. 7:07 Talks about Nolan’s camera choices when making films, practical vs. visual effects. 8:53 Talks about the IMAX release of The Dark Knight and how he was able to use the OCN’s (original color negatives) for eleven of the prints that were screened in select theaters, and how those were the best projected versions of any film in history. 10:24 Says they will do the same OCN release for The Dark Knight Rises, talks about the financial burden of releasing The Dark Knight Rises in the very best quality possible, and the visible difference between the OCN prints and the others that were sent out. 11:40 Talks about how a 2K image can, in certain circumstances, look almost as good as IMAX, and what circumstances make for the best viewing experience possible. 12:20 What IMAX does to assure quality in all of their theater across the country. Says they all have internet connectivity, the master control room in Toronto can look at certain details in every theater. 12:55 Talks about the new Series 2 4K projectors that are going out, and how they will come close to IMAX quality. 13:20 What makes a 4K projection look so great. Optics, how the 2D and 3D are being done, etc. 13:45 How quickly the new TI projectors will be able to be implemented across the system. Addresses how at the end of the 20th century everyone thought the digital roll-out would occur much faster than it actually did. 14:35 Addresses possibilities of re-releasing older IMAX films again, like The Dark Knight. Says there may be a double bill when The Dark Knight Rises is released. 15:39 Talks about the financial failures of re-releasing movies in the past. 16:02 Talks about the possibility/cost of re-releasing The Dark Knight. The IMAX print itself weighs 700 lbs, a print of Avatar was $55,000. 17:10 Says it’s easier to re-release IMAX films in one of the larger, more successful theaters. Says the digital presentations are less expensive and can be almost as good as the actual film print presentations. 18:09 Talks about the differences between the IMAX digital presentation and the IMAX print presentation. Says digital has allowed them to grow, and allows for brighter presentation of 3D films. 19:45 His reaction when a filmmaker tells him they’re not shooting in 3D. Says the company has decided there’s room for both, but personally he’s partial to 2D. 21:00 Talks about the superior sound of IMAX, how they tailor the sound of each movie that is presented in IMAX. Says how just one week ago TRON: Legacy director Joe Kosinski asked him to alter the subwoofer for the presentation of the film and they were able to fix it. 22:06 Talks about Tron and how IMAX has a team of people that go around the country to other IMAX theaters to make sure the quality is as good as it is in the LA IMAX presentation. 23:10 Talks about how the discipline of projection is not what it used to be, so quality control is a big deal. 24:03 How digital is beneficial because it allows the IMAX team to keep a closer watch on quality control from a remote site. 24:14 Talks about how when IMAX was invented that it was run by PhD’s in a museum, and quality control was much better. 0:32 Talks about working with Joe Kosinski (director of TRON: Legacy) on getting an aspect ratio on Tron that was similar to The Dark Knight. Worked to expand the frame on the film for the IMAX version. Joe used 1.78 ratio for the IMAX scenes of Tron, which were finished digitally. 1:37 Why Kosinski loves IMAX more than digital. 2:30 Talks about how filmmakers are currently shooting in IMAX for their 2011, 2012 releases. 3:17 Says he’s not sure if IMAX is doing Transformers: The Dark of the Moon. 4:00 Says the latest a filmmaker can come to him and decide to put the film in IMAX format is getting shorter and shorter. 4:47 Says what IMAX does to convert a film into their format. Says a filmmaker will bring their finished film to IMAX, and then they can pretty easily convert the film in about a month. Digital releases can be done in 2-3 weeks. 7:00 On why more filmmakers don’t take advantage of using IMAX, says right now everyone’s enamored with 3D. 8:00 Talks about how no one edits on film anymore. Says Nolan did so on The Dark Knight and the labs had forgotten how to cut actual film. 9:10 Talks about the quality of shooting digital vs. film. Says people believe it’s cheaper to use digital, but post-production costs are very expensive when fixing things that didn’t capture correctly why they were shooting on digital. 10:00 Talks about the IMAX camera that can do 3D. Says they have about 3 of the 3D 2-strip 65mm cameras, a couple of 30-perf cameras for the space shuttle, and a new prototype digital capture 3D camera. 10:47 Says they’re finishing their first movie with the new prototype digital 3D camera now, Born to be Wild. Talks about how the challenges of shooting animals on film have been made much easier by shooting digital. 11:55 Talks about the cost of shooting digital. Says since directors leave cameras running for a lot longer now, much money is spent in the editing room sifting through all of the tapes. 12:35 Talks about how IMAX converts the sound in films to IMAX sound, says the stems of the film are remixed and converted to IMAX format. 13:55 Talks about what IMAX is currently working on now. Says they’re working on the footage from their first digital capture feature Born to Be Wild. Says they’re processing the first images in IMAX digital for The Green Hornet. Sending staff out to theaters to make sure that Tron is being screened well. Processing Mars Needs Moms. Doing foreign versions of Tron, says subtitles are very important. 15:26 Says they pride themselves in making sure that the trailers are done well. Says they’re constantly busy making sure the depth offsets for trailers are correct. 16:15 Says they’re working on a television network with Sony and Discovery. Says all of the 3D convergence has to be changed for television. 17:00 Says he’s very excited for the IMAX trailer for Pirates of the Caribbean: On Stranger Tides. Says it’s interesting in that the film was captured on a RED camera. 18:00 Says they just received The Green Hornet and are just getting started on conversion, with release only weeks away. 20:20 Says they’re releasing The Green Hornet in digital only. 21:40 Says they’ve had 4 or 5 meetings with Nolan so far, are making improvements for The Dark Knight Rises. 22:15 Talks specifically about working on bit depth for The Dark Knight Rises. Explains it by saying it’s how many shades of color are in your face. Says for The Dark Knight Rises they are trying to get more than 1,000 shades of color. Film has over 4,000 shades of color. 24:26 Wraps up. Talks about how he believes that if all these tiny nuanced technical pieces are up to the highest quality, the audience leaves with a much better impression of the film.